As you can see, it’s primed and ready to go for today’s Texans game. Is there some kind of blogger ethics form I need to fill out, or does this count as sufficient disclosure? 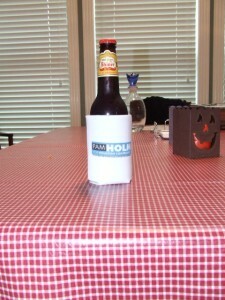 My thanks to Sallie, Samantha, and the rest of Team Holm for the memento.